At Swan Metal Spinning flexibility is one of our strengths and with a wide range of spinning lathes the size and types of metal which can be spun is vast. We can spin from 0.5 mm to 3.00 mm thick and up to 1.2 m in diameter depending on the shape and material used. Swan Metal Spinning is also a fully capable machine shop. Our metal spinning tooling is made in house on our CNC and manual machines. Fabricating our own tooling in house reduces cost for the consumer while guaranteeing the level of quality that we pride ourselves on. With our in-house machine shop, any revision or design changes can be performed quickly and much more efficiently. We also can provide milling and drilling operations along with secondary machining operations on spun parts. Swan Metal Spinning prides itself on delivering high quality machined parts and assemblies to comply with our customers specifications. 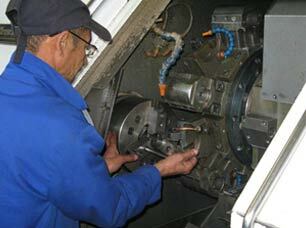 CNC Precision Turning is one component of our machining services. Our turning equipment include an assortment of various lathes , each with a range of turning lengths and diameters. Machining services offered by Swan Metal Spinning include turning , milling ,drilling , tapping and welding. We offer high quality metal polishing with a brushed or mirror finish available on most products manufactured at Swan Metal Spinning . Exterior and/or interior surfaces may be polished depending on the part configuration. High quality metal polishing with a brushed finish or mirror finish. In addition to our regular equipment support services, we offer other special outsourced services to our customers. Swan Metal Spinning will deliver products complete,allowing for a " one-stop shop".